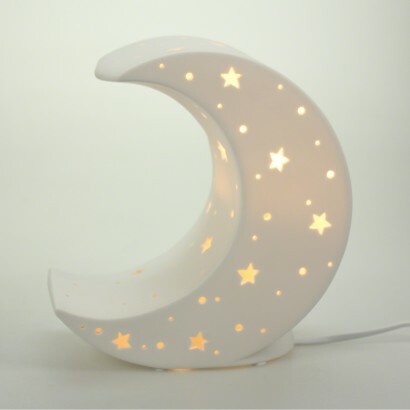 Decorated with stars and pin point craters, this stunning crescent moon lamp allows the light to shine from within for a gentle glow. 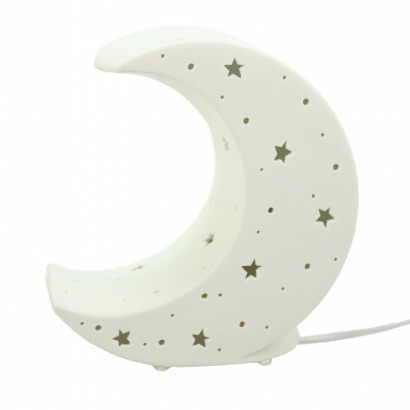 Ideal for kids rooms or nurseries, this stylish lamp comes in neutral white and shines with a warm white glow when lit giving comfort and reassurance at night. Mains operated with an inline switch for easy control, even older kids will love the contemporary style of this lamp that will cast gentle star shaped shadows as it shines. 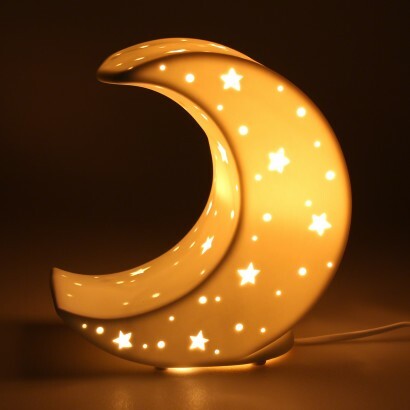 Really lovely lamp. Gives a soft glow and looks much more expensive than it was. 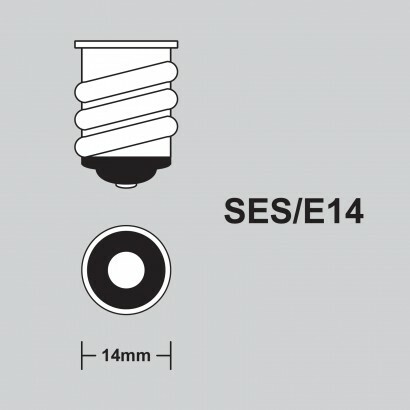 I would have liked if a bulb was sent with it though. This was my first purchase through The Glow Company and I am really pleased with the light I ordered and how quickly it arrived. 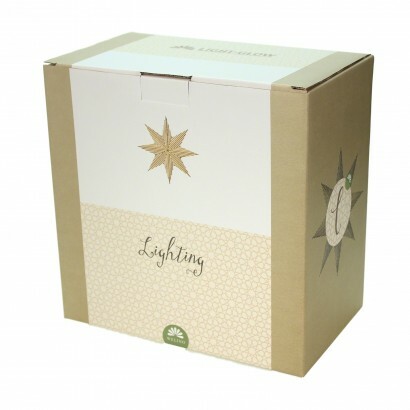 The light was packed nice and securely and was a lovely quality. I dont usually do reviews but felt the service was most definately worth a few minutes of my time.